Military grade doors supplied by Spartan Doors to an Australian Department of Defence project. The Australian Department of Defence was building a new training facility in New South Wales. The facility needed to be fitted with security doors that were to be used in a rigorous training program for Australian military personnel. The doors had to stand up to physical abuse from a variety of sources on a day-to-day basis. Spartan Doors engaged in a sales consultation process with the Australian Department of Defence to determine which door would best suit the application. Based on the strength and durability requirements for the doors on this project, the customer decided on the Spartan Bulwark 2000. 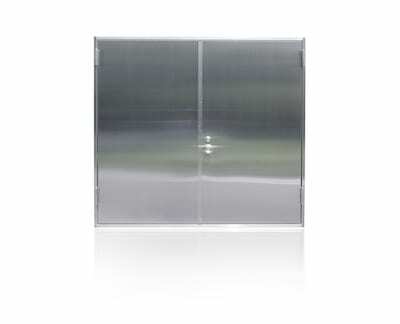 The doors were a solid core door sheeted and capped with 1.5mm steel with each door weighing over 50KG. Spartan Doors is proud to have been involved in this project and appreciates the opportunity to supply military grade doors to the Australian Department of Defence.